Sometimes one single box or envelope can bring such a happiness to another person, maybe even to a person you have never met in your life. 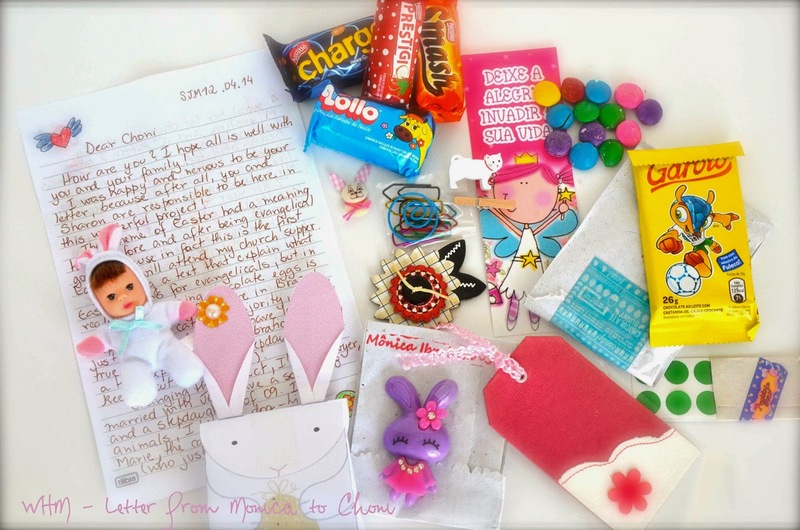 This is beauty of snail mail and projects like We Heart Mail! 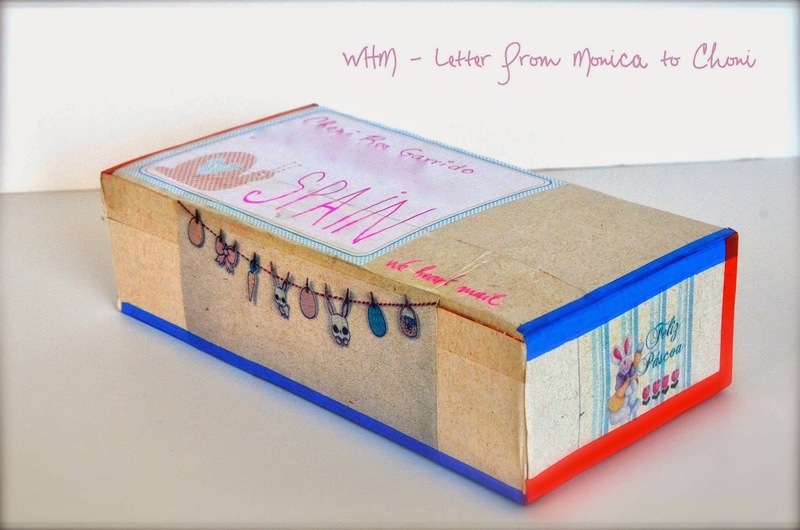 As this simple box (ok, it's not just a regular box, look at those stickers and washi tape) from Monica (Brazil) made and sent to Europe - Choni (Spain). Don't you agree with us- this looks like treasure box! So many and so different things! 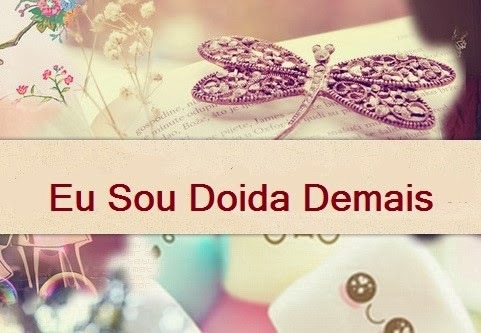 Indeed - not only letter, but sweets and stickers and gift tags and even dolls! How great is this! Choni for sure is happy for all these goodies she can enjoy by herself or use to make happy others by her crafts! 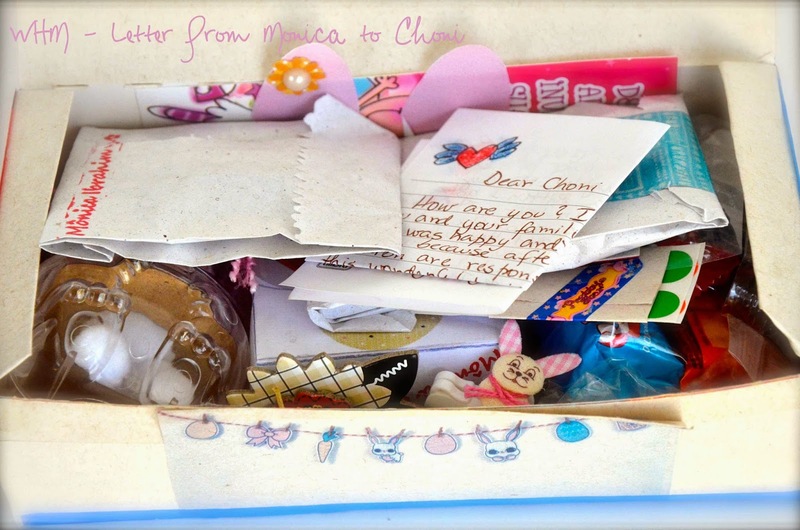 Want to make someone happy by your letter? Don't miss applying to We Heart Mail 2015! More info will be published on blog as well!